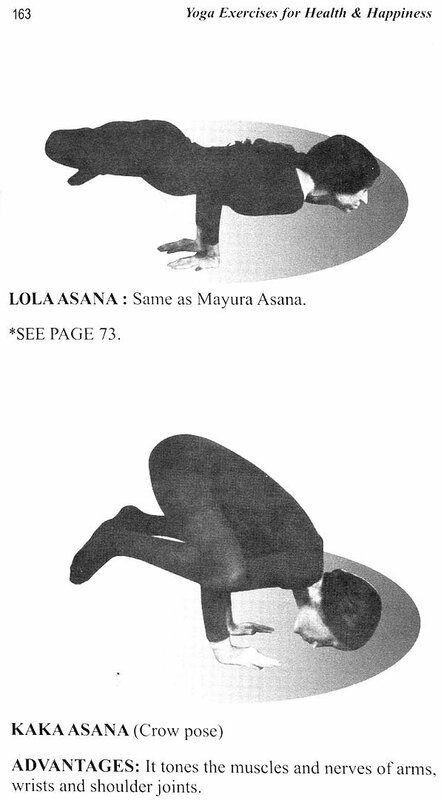 This unique book gives a wide variety of psycho-physical exercises (Asanas), breathing exercises relaxation exercises, concentration techniques and eye-exercises. The Author and sage Swami Jyotir Maya Nanda, already Internationally known for his great profound lectures and classical Yoga books reveals with his majestic pen conclusively the importance of Hatha Yoga for radiant health, abundant happiness and inner peace of mind. We heartily recommend this book "Yoga Exercises for Health and Happiness." For all who desire health, happiness, prosperity, mental strength and spiritual advancement. Follow the plan of practice give here and you will receive great benefits of harmony in body and mind by regular and diligent effort. Your general well being, mental alertness and inner relaxation will come gradually, increasing supple muscles, firm skin and a beautiful healthy appearance. 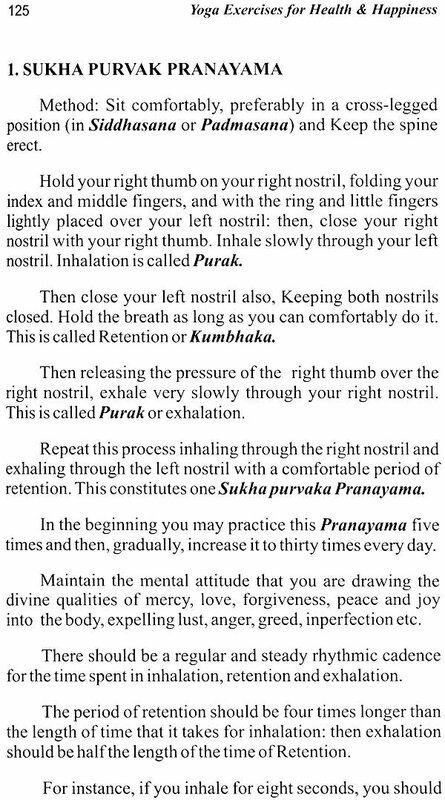 If you practice these exercises regularly you will build a bridge across sorrow, discontent and uncertainty and walk on the path of bright sunshine with the cool breeze of Joy in your heart. Yoga is a mystic science that prepares and integrates one's personality for the highest achievement of Self realization. 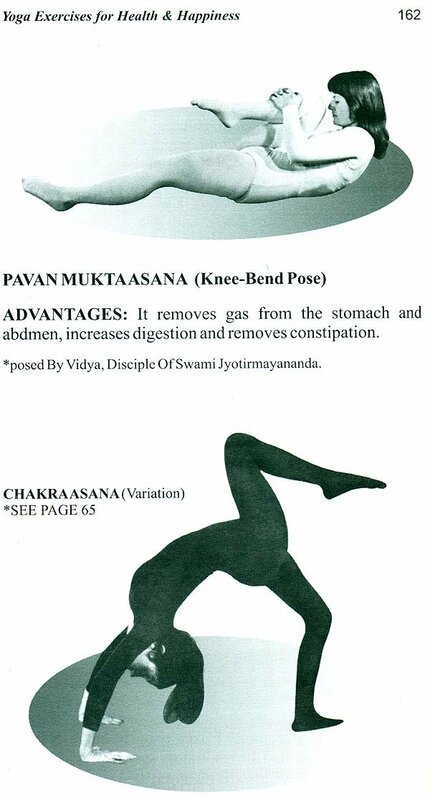 Hatha Yoga is vital for keeping body fit for the higher attainments both on spiritual and material planes. This book primarily is a Hath Yoga book but also includes chapters on meditation, japa. Kundalini Yoga as well as Yoga of wisdom. It was first published in USA and soon became very popular in other countries. Increasing demand of this unique book compelled us to publish it in India. 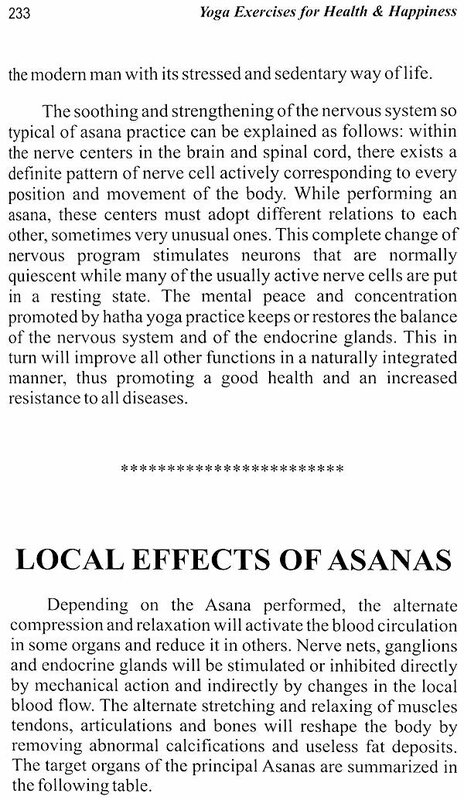 Besides Asanas and Pranayama this book also contains articles on human physiology as well as therapeutic effect of Hatha Yoga Exercises. Prescription has been made for various common ailments for guidance of the readers. Separate charts of practice for different groups given in this book makes it more useful than others on the subject. This book works as a guide. 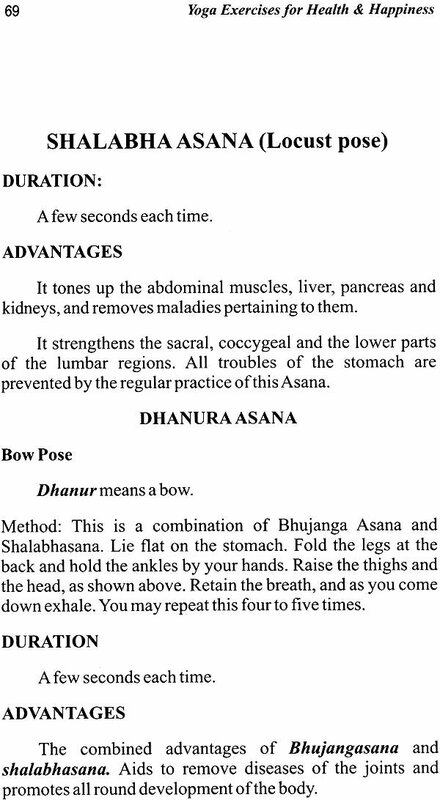 One can practice Hatha Yoga techniques without any guru with help of this book. Hatha Yoga is the world's most ancient system of physical and mental development practiced by great Yogis of India for centuries. 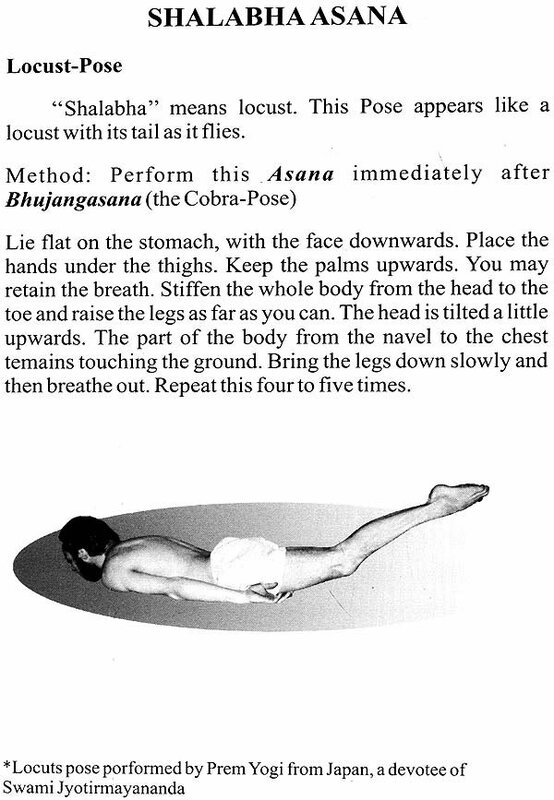 This unique book gives a wide variety of psycho-physical exercises (Asanas), breathing exercises. 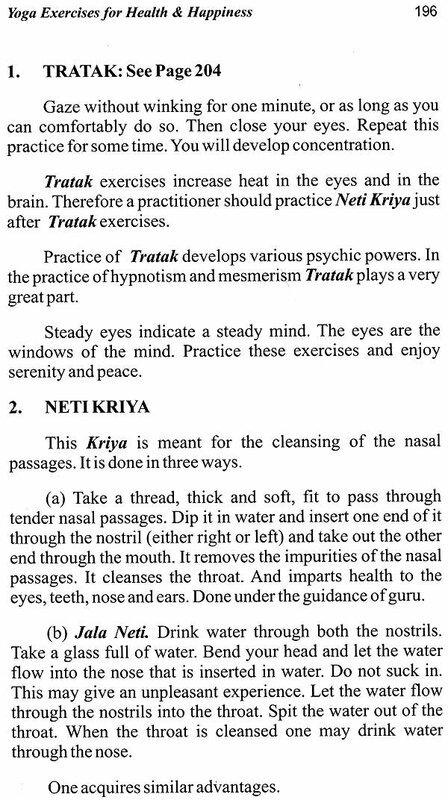 Relaxation exercises, concentration techniques and eye-exercises. The idea that more energy, effort and movement give better results in physical culture has been proven erroneous by the Yoga science. In fact the very opposite is true. 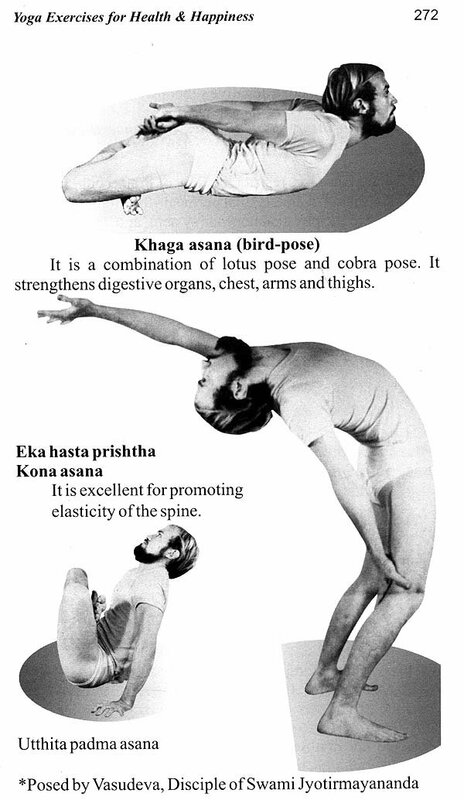 Blended with poise, relaxation and concentration the Yoga Exercises demonstrate that the less motion and energy you give to these poses of Yoga. The greater and more enduring are their dynamic results. The Author and sage Swami Jyotir Nanda, already Internationally known for his great profound lectures. And classical Yoga books on wisdom, mental integration and meditation. Reveals with his majestic pen conclusively the importance of Hatha Yoga for radiant health, abundant happiness and inner peace of mind. Recommending these stimulating and relaxing exhibits the poses with a spontaneous naturalness combined with gracefulness and beauty, His vitality, flexibility and elasticity are infections. Readers will be encouraged and drawn to practice just by the radiance of this sagacious sage Swami Jyotir Maya Nanda. A rare and compact volume to supply you with every thing you need, these exercises have been taught by sage Swami Jyotir Maya nanda over a period of many years as Director of the 'International Yoga Society." He has trained thousands of students and teachers all over the world in the system. Therefore, without a doubt it is the most efficacious method. 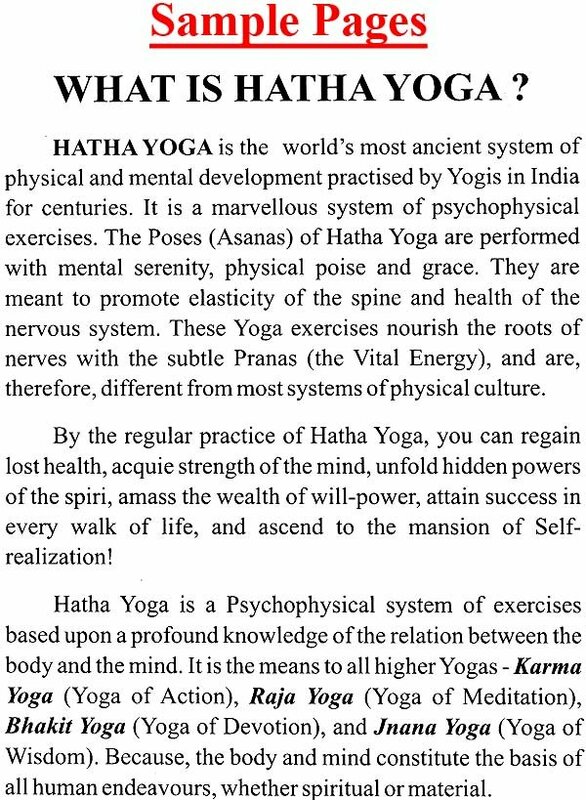 Of many Hatha Yoga books, none has given the insight, depth and authenticity as given within this rare book. 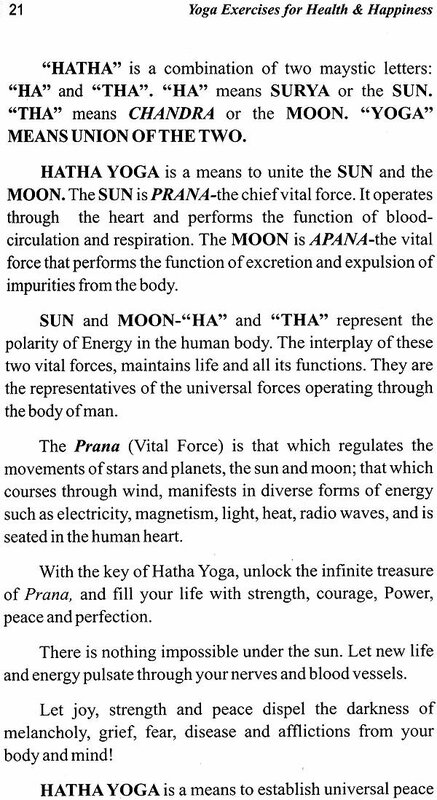 It demonstrates a refreshing and rejuvenating way to become attuned to the cosmic modulations of Pranic energy which is the basis of the entire creation. Follow the plan of practice given here and you will receive great benefits of harmony in body and mind by regular and diligent effort. Your general well being, mental alertness and inner relaxation will come gradually, increasing supple muscles, firm skin and a beautiful healthy appearance. Your progress will go on and on as you respond to these psycho-physical exercises. There are over 200 illustrations in this unusual book. Our Revered and Adorable, Guru Swami Jyotir-Maya Nanda reveals many secrets and mysteries of Hatha Yoga. Anyone can absolutely accomplish a new vitality be dispensing with stiffness and tensensess from the body and mind. We heartily recommend this book "Yoga Exercises for Health and Happiness." For all who desire health, happiness, prosperity, mental strength and spiritual advancement. 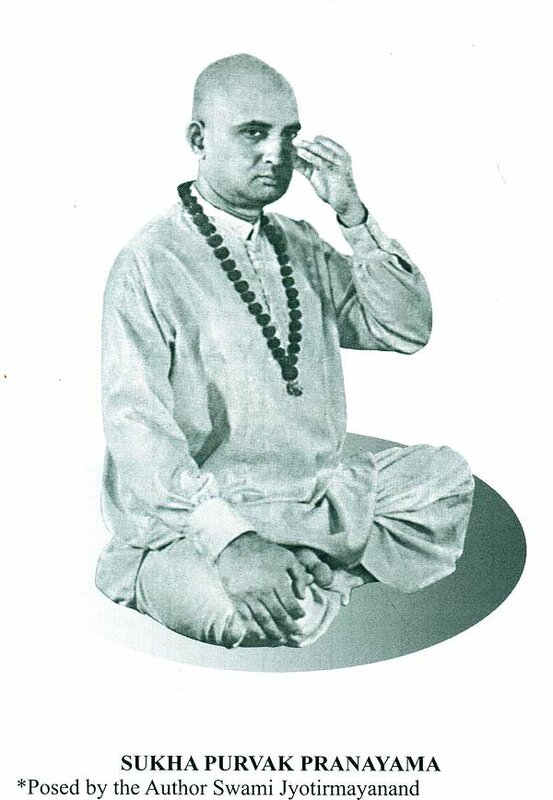 The distinguished and illustrious author has given an understandable and step by step method of all Hatha Yoga practices. If you practice these exercises regularly you will build a bridge across sorrow discontent and uncertainty and walk on the path of bright sunshine with the coo breeze of Joy in your heart. 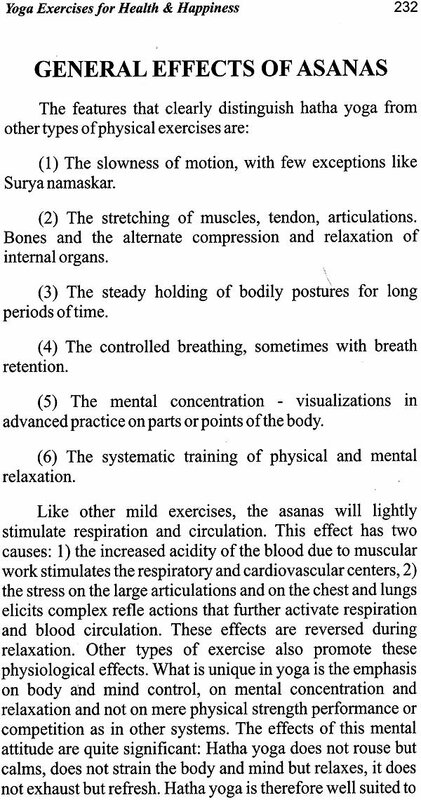 We thank Dr. Bernard Deleze a disciple of Swami Jyotir Maya Nanda, who is a medical expert, for contributing the articles in section thirteen: "Principles of physiology, Hatha Yoga and modern Physiology, Local Effect of Asanas, Effects of Pranayamas. And illustrations pertaining to Blood Circulation and Chakras. In addition. Our sincere thanks to the Karma Yoga Staff who have given us valuable assistance in the completion of this wonderful book. As you continue to practice you will feel more and more the invisible presence of this great Sage Swami Jyotir Maya Nanda who is filled with the Divine consciousness and Love for all beings in the world. It is our sincerest and devout prayer that the blessings of Sage Swami Jyotir Maya Nanda may guide you each day on the road to perfection and happiness.